A guide to get Eclipse set up with Python, PySide, Maya & PyMel for a sweet tech art development set up. This article is written assuming Windows 10 64 bit. Note: If you click the big yellow download button on the Python download page you will get the 32 bit version of Python. PySide is a very nice UI framework (Qt) for Python. It also comes bundled with Maya. The process of installing Eclipse and it’s plug ins has been vastly streamlined lately. The installer should point to where you installed Python to. 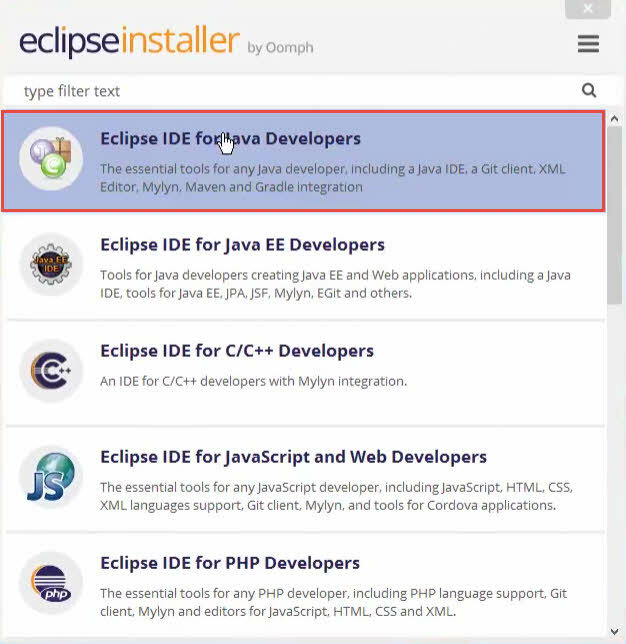 Launch the Eclipse installer and select “Eclipse IDE for Java Developers”. Select weather you want any shortcuts and click install and accept the user agreement. When the installation finishes click on Launch. I used the defaults for workspace directory. In the search box, type in PyDev. Click Install Now to install PyDev. I uncheck PyDev Mylyn Integration to conserve my precious SSD space. Accept the licence agreement and finish the installation. You also need to trust the certificate. Restart Eclipse. In the search box, type in Perforce. 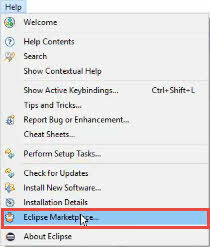 Click Install on “P4Eclipse. I uncheck everything but Perforce SCM Support (required). Accept the licence agreement and finish the installation. Restart Eclipse. Select PyDev and click ok. We can now close the Java perspective as we will not be needing it. Right click on the Java perspective and click Close. Go to Window → Preferences. 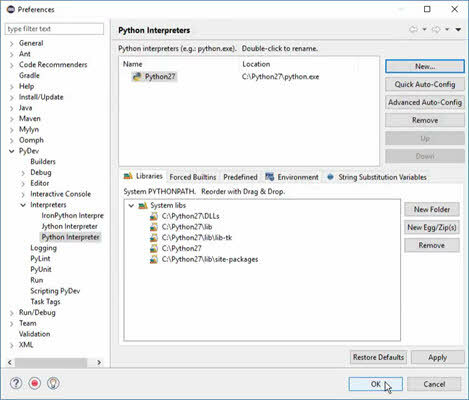 In the preference window go to PyDev → Interpreters → Python Interpreter. I left all system libs checked. Go to Window → Preferences. In the preference window go to PyDev → Interpreters → Python Interpreter. I left all boxes checked. To get code completion on PyMel, click on the Predefined tab and click New. Browse to “C:Program Files/Autodesk/Maya2014/devkit/other/pymel/extras/completion/pypredef” and click ok. Note that on later versions of Maya (2016.5 and newer), the devkit folder is omitted from the install and you have to download it from the Autodesk App Store. Search the app store for “Developer Kit” to find all the Maya version dev kits. Download the one for your version and put it somewhere and link the completion folder like I did for 2014 above. Uncheck Use Default which unlocks the Directory path. Click Browse and select the top directory of your tool folder. Check the “Don’t configure PYTHONPATH (to be done manually later on)”. The reason for this is that our folder contains much more than python code. 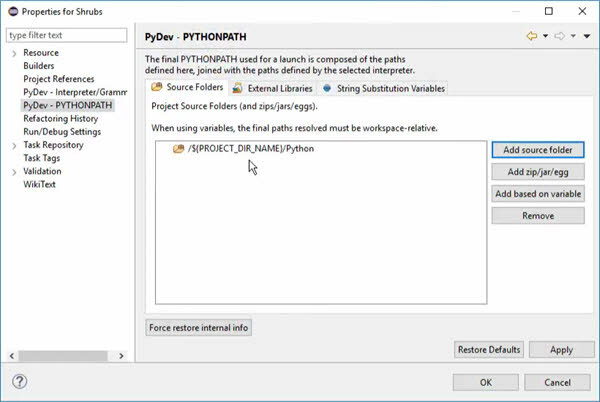 The python code is in its own folder, which we will add as the PYTHONPATH later on. Right click on your project and select Properties. In the properties window go to Pydev – PYTHONPATH. Add source folders here to your code base for this project. You can also add source folders between projects, by using External Libraries. In my case the source folder is the python folder in my tool folder. Put in the server address and user name then click Next. Select the Server connection you created in the drop down and click Finish. Now you can right click on any file and the “team” menu item gives you access to perforce commands. Files will automatically be checked out when you open and start to edit them in Eclipse.